The Petface Luxury Multi Squeak Duck is a colourful, plush, soft toy. 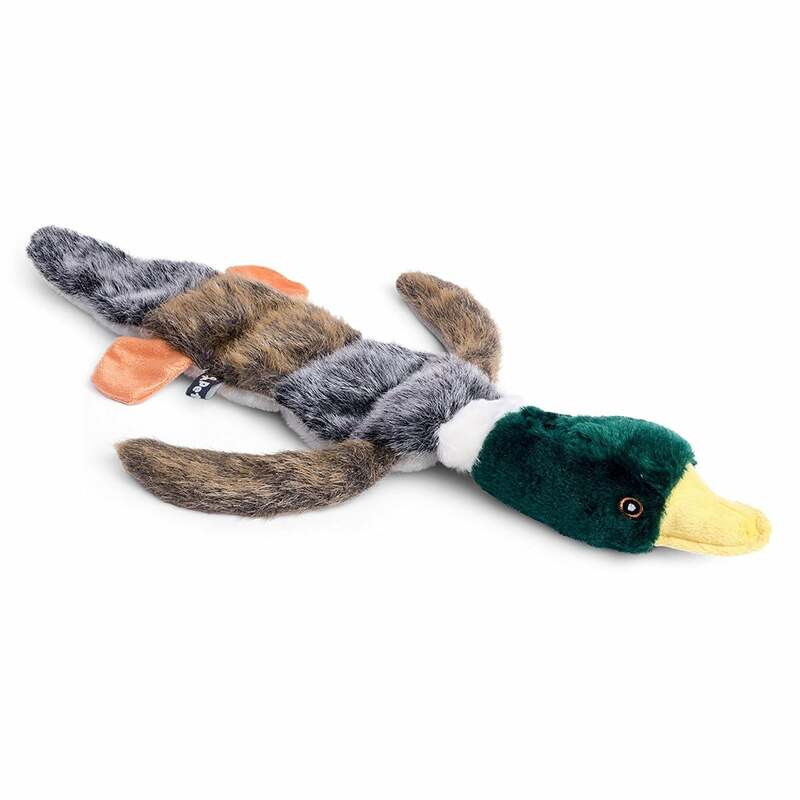 The tail and main body of the duck is flat, instead divided into four sections with a squeaker in each and the head is stuffed offering contrasting textures for your dog. At approx 20 inches in length this toy is most suitable for medium to large breeds and will provide your dog with hours of fun and companionship.